Offering an introductory price of $999 for a limited time only! The Courier has the lines of a classic commuter bike with the most subtle e-bike touch. Weighing in at just under 36 lbs it is one of the lightest e-bikes available today. 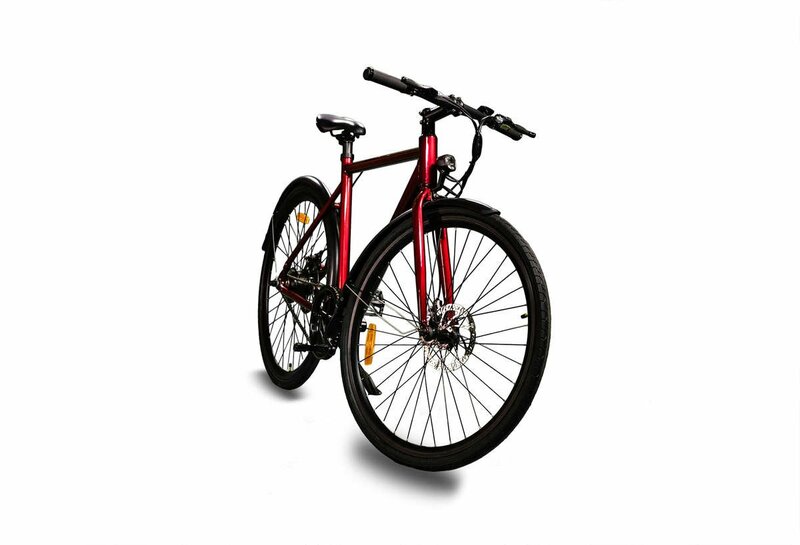 The Courier gives you the simplicity of single speed riding but with the help a 250 watt torque sensing motor, this can be the difference between getting to your destination sweaty or ready to start your day. With a hidden battery in head tube the battery nobody will even know its an e-bike. The Courier is fully equipped with standard features such as 4 levels of assist, walk mode and a 36V 7ah battery giving a range of 20+ miles on a single charge. With standard 180mm front and rear disc brakes, you can stop on dime when needed. It also includes an integrated headlight, battery tail light and metal fenders.